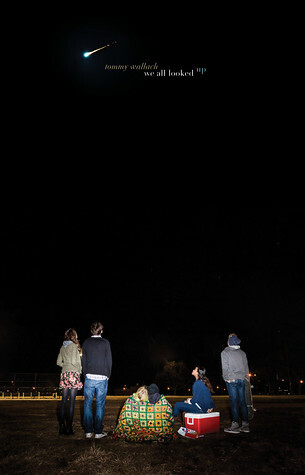 We All Looked Up is a contemporary novel which follows a group of four teens after they find out that an asteroid named Ardor is set to potentially collide with the Earth in just a few weeks time. The book follows Peter, Eliza, Anita & Andy in alternating chapters as they each decide what they want to do with the time they have left. Although not already a group of friends the four characters are linked in various ways and as the story progresses their lives become intertwined by Ardor. Although a lot of the story is focused on the connections between the characters rather than the actual end-of-the-world element (and there are some quite far-fetched scenarios!) the book also explores some very interesting questions through the character’s actions, making the reader question what they would do if faced with the same situation. My personal favourite parts of the novel weren’t the interactions between the characters, or their weird and wonderful adventures, but rather the little snippets sharing hints at what was happening to the wider world around them. One scene that particularly stood out to me took place at the supermarket, where the author described what this everyday task would be like with the threat of the asteroid looming, with rationing and strict rules enforced. Whilst I found that the characters weren’t really for me and I would have enjoyed learning more about how the asteroid threat was changing the world around them, I do think that We All Looked Up is a thought-provoking read with an interesting concept that many teens will love.